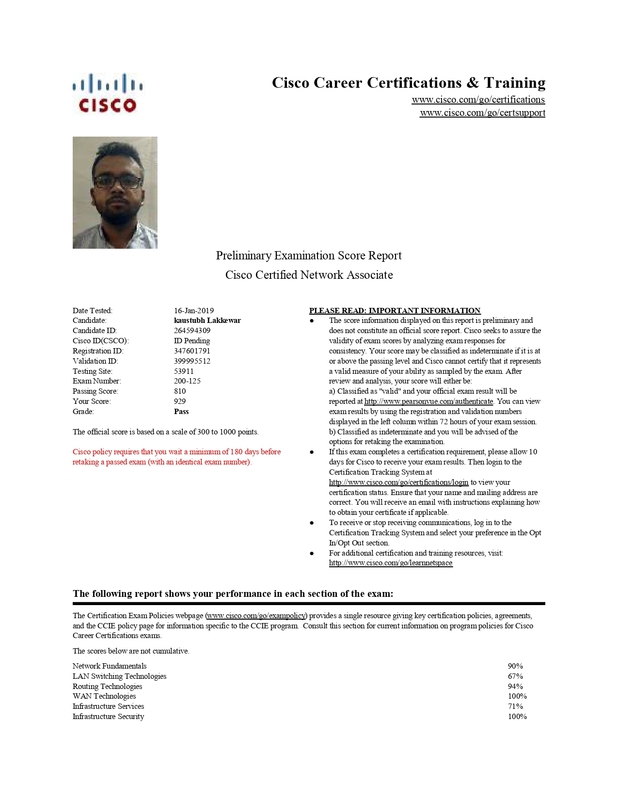 Cisco Certified Network Associate (CCNA) is the Associate level Cisco certification. CCNA is the foundation for CCNP as well as CCIP and CCVP Certifications. CCNA training includes training for CCENT course. Thus, you attain CCENT certification as well when you achieve CCNA certification. We also offer a separate (CCENT) course if you do not wish to go up to the CCNA level certification. This is the World's longest CCNA course to help you pass the tough CCNA exam. Determine The Technology And Media Access Control Method For Ethernet Network. Identify The Appropriate Ipv4 Addressing Scheme Using VSLM And Summarization To Satisfy Addressing Requirement In A Lan/Wan Environment. 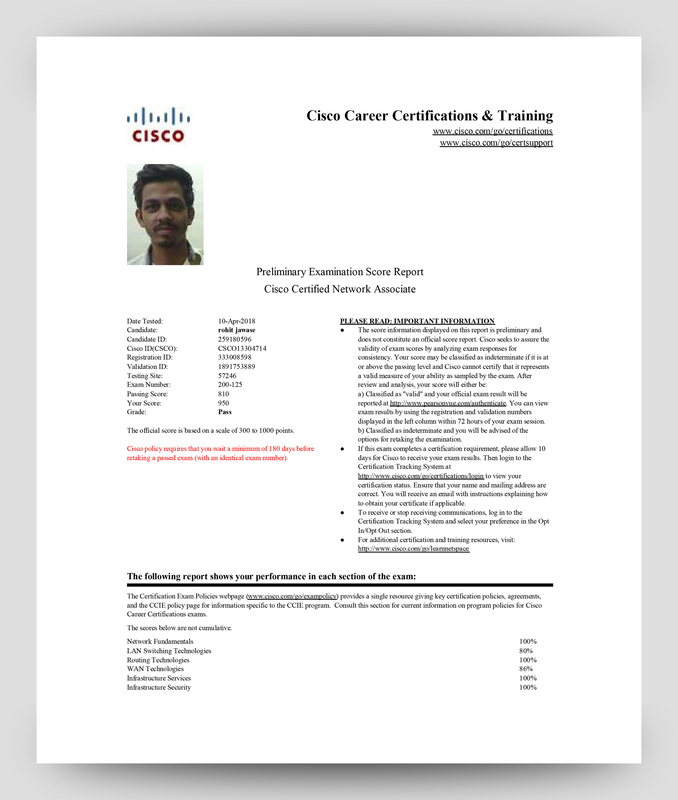 Schedule for Cisco CCNA Training & Certification in Nagpur, Pune and Bangalore. Lots of certifications,nice trainers,tremendous knowledge, over all i can say it is one of the best institute of Nagpur.So do come here and boost your career. Nice Internship Training in CCNA Networking . I have Completed and the best part is Mr. Nayan Patil Sir who is an Expert Faculty in Cisco Networking and the training has given good Knowledge.Administration Staff is good and helpfull.I enjoyed my training in "UNISOFT TECHNOLOGIES"
My experience in Unisoft was best. They provided me theoretical as well as practical knowledge which will help in getting jobs in top MNC. My faculty Mr. Sachin Sawade taught me CCNA with full enthusiasm. Overall my experience was BEST in Unisoft Pvt. Ltd.
My Experience in unisoft was compaved better as eaviler to other which i joined here after joining skills got enviched and industry preparved sachin sir taught us well and deaved by douts. It was a great experiance to be a part of unisoft technologies. I was confused when i first come to this institute but now i confident about my goals for the career. Sachin Sawade Sir is best for CCNA Classes. Unisoft administration members are very polite and cooperative. IT was the grate experince in unisoft better as compared to other which i joined earlier in other institute here after joining skill got enviched and was industtry prepared . sachin sir taught us very well and cleaver by douts. It was a good experience to be a part of Unisoft technologies.Sachin Sir taught with enthusiasm is best for CCNA Class. Unisoft administration members are cooperative.Both practical and theoretical knowledge was provided. I have completed course of CCNA from Unisoft Technology under Ramiz Khan sir.it was good experience.good counseling by vallery mam, ASHA MAM & SAVITA MAM. I searched a lot for a good institute to study CCNA in Nagpur and it ended finally on Unisoft Technogies. On my first visit to Unisoft I got very satisfying counseling from Miss Asha Madam(Counselor at unisoft technologies) which made me turn toward the doorsteps of Unisoft. My CCNA Faculty was Ramiz Khan Sir and his teaching made me understand all about the CCNA topics throughly. He is full of patience and deterimnation to teach to all his students. Learning at Unisoft was a very good experience. I did CCNA but Unisoft is also teaching many more cources with all dedication since 16 Years. If you are reading this then I totally recommend you Unisoft. I am satisfied from this institute, here the admin staff is very good and maintain discipline . Coming to faculty Ramiz Khan sir is the best teacher in CCNA. I am a student of Unisoft Technologies. 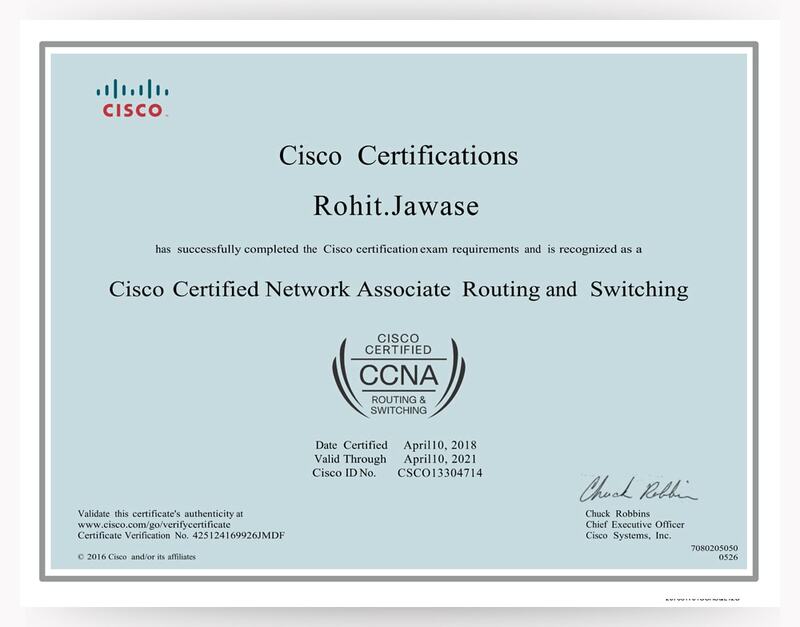 Completing my CCNA course here I am totally satisfied with the Teaching...Faculty Members are very supportive n good It is the best IT institute in Pune. Good teaching by Mr.Darshak Solanki sir for CCNA, is best teacher in Pune for CCNA. Unisoft technologies is the best IT training center teaching faculty is good.Environment of Institute was healthy and course was conducted as per scheduled plan. Theory covering was good and practical session were quite beneficiary. teaching (ramiz khan) and staff member(savita mam) excillent teaching.any problem quikly solve in the class room. My experience with all the unisoft staff was quite good. At first i was guided well by savita madam about the courses and details.Then as i was pursuing ccna at unisoft and i was guided by Ramiz khan sir and my interest in the course grew up more into that course. Ramiz sir was a great teacher for me and he inspired me more into networking and i look forward to get taught by him for my next level i.e ccnp. Overall i am happy i admitted in unisoft for ccna.